Steam & Dry Carpet & Rug Cleaning Services West London W | Quality Property Care Ltd.
Bring back your gorgeous rugs with the help of a professional rug and carpet cleaning company in West London W Has your beautiful rug lost its bright colours and appears to be worn and dull? There easy and quick solution for you. Quality Property Care Ltd., a rug and carpet cleaning company which provides top quality residential and commercial rug and carpet cleaning in West London W and the area. The carpet and rug cleaning services are offered with the latest cleaning technologies and secure cleaning solutions. The professional rug and carpet cleaning team delivers carpet spot and stain removal, dry foam carpet cleaning or shampoo carpet cleaning for all kinds of carpets and rugs. Trust the tvetted and trained cleaners to provide you excellent services at the best rug and carpet cleaning prices in the region. Call the professional customer service line or send an online require for a free quote, and you will get an offer within 2 hours! The provider constantly invests a lot of assets into getting the latest, safest and most efficient carpet cleaning technological innovation. The cleaners are also continually being trained to safely and properly use them, and to deal with a variety of stains and materials. The company Quality Property Care Ltd. was established in West London W back in 2005, and since then has been developing and evolving, to manage to catch up with all the latest tendencies in the cleaning industry. The cleaners are all vetted, frequently trained and monitored for their cleaning performance. The instruments, solutions and machines used for the deep carpet cleaning, and the other cleaning services delivered are certified, safe and modern . The cleaners deal with any kind of spots on your rugs or carpets, including: wine, oily stains, blood, paint, vomit, rust, coffee or tea. All services provided are covered by insurance, and the quality is guaranteed. For more sensitive materials like cotton and silk we use a more gentle approach which does not depend on heat or moisture to remove a stain. Natural materials rarely react well to both moisture and heat so we are using a specialised dry compound which comes in a granulated form. 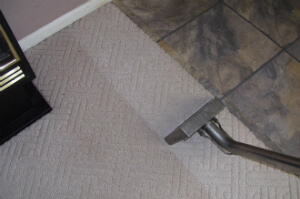 The same process of stain and carpet or rug prepping does apply as was explained in the hot water extraction technique, allowing us to much better remove the spot. This time we pre-treat the spot with a special detergent, specially selected for the type of fiber we are cleaning. It’s applied and let to set into the spot. Once that is done we apply the granulated detergent and spread it with a fine brush. This imbeds it into the fabric of the material forcing it into the stain. The dry compound is also let to set for 10 minutes after which we get it using a high powered vacuum machine, extracting 100% of the filth and detergent. There is no trace left, leaving both your natural rugs and carpets fully spotless and cleaned. Go ahead and book your carpet cleaning services, today, to make sure the air in your office or home is clean and safe and clean. 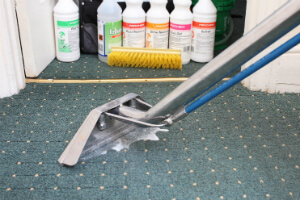 If you are in West London W or the area and you require professional residential or commercial carpet and rug cleaning, bed bug mattress treatment, mattress cleaning,, curtain cleaning, blinds cleaning, drapery cleaning, or a combination of Two or more of these services, all you need to do is call the client care service at this number 020 3746 4287 or complete and send the online booking form, and you will get written verification via sms and e-mail as soon as possible! Same day reservation is possible, as well as booking on bank holidays and weekends without any price raise. Book your professional carpet and rug cleaning service today!